Want solid sound reinforcement without needing to reenforce either your wallet or your back? 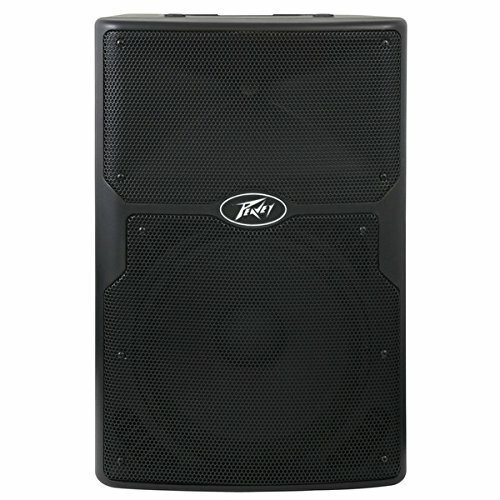 Check out Peavey's lightweight, portable, and totally affordable PVx12 passive loudspeaker. Made out of super durable molded polypropylene, PVx12 speakers are ready for the rough road life. What's more, they're super lightweight and feature built-in carrying handles, so you won't get a hernia trying to cart them around. Mount them on poles, fly them, or flip them on their sides for use as monitor wedges - whatever you need them for, PVx12s deliver. How do they sound? In a word: fantastic! The PVx 12 easily handles 800 watts (peak), and its efficient 12" neodymium woofer and an RX 14 1.4" titanium-diaphragm compression driver provide you with plenty of coverage. So if you need great sound on a realistic budget, Peavey PVx 12 passive loudspeakers are totally the way to go!